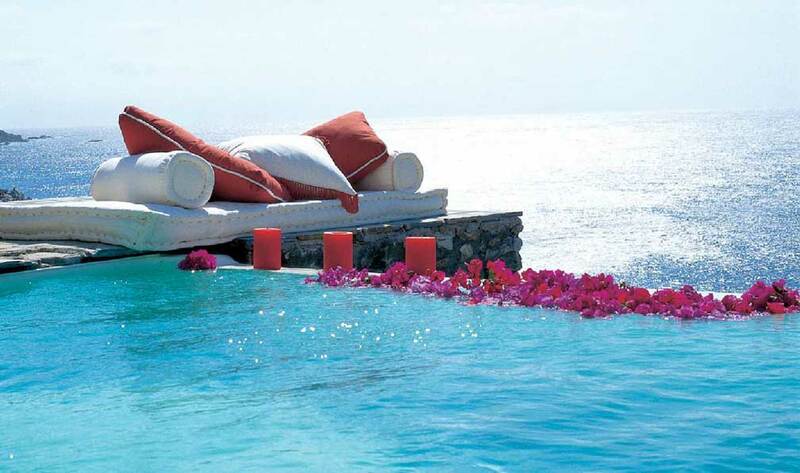 Imagine a place... Where the sea and sky hypnotize adventuring souls. 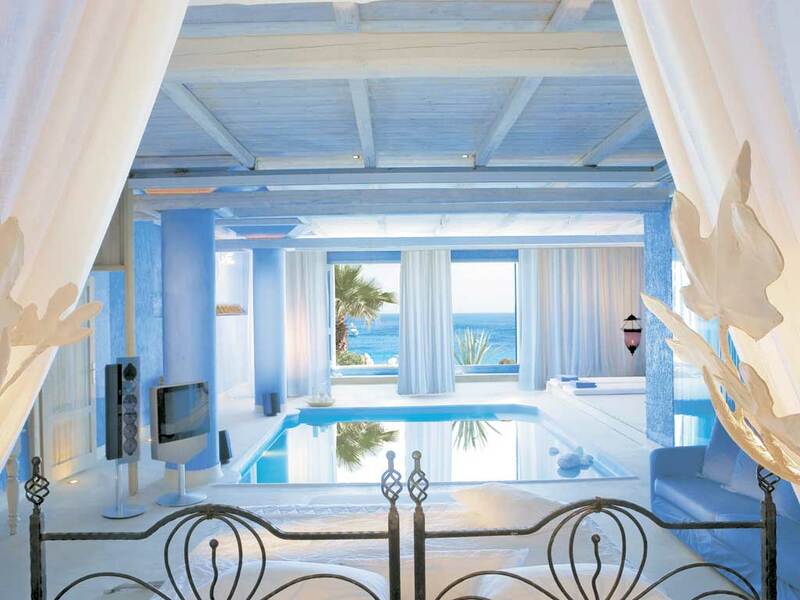 A blue oasis where the sun wraps each day in brilliant white. 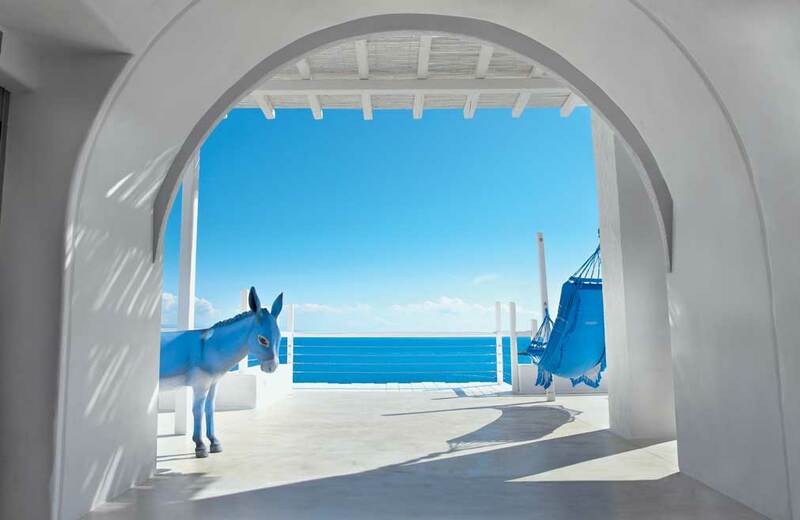 Nestled in the cosmopolitan island, discovered by jet setters, are the island bungalows and private villas of Mykonos Blu luxury hotel, thoughtfully designed to reflect the cubist lines of the Cyclades. 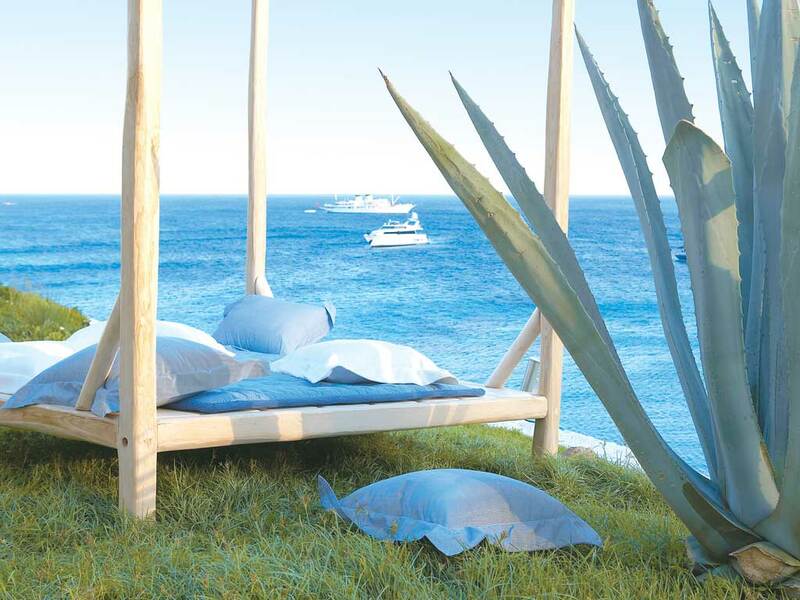 Set on a low bluff overlooking the world-famous beach at Psarou, this dream luxury hotel in Mykonos floats on the edge of an Aegean fantasy, just like the unique infinity pool that seems to hover in the air. 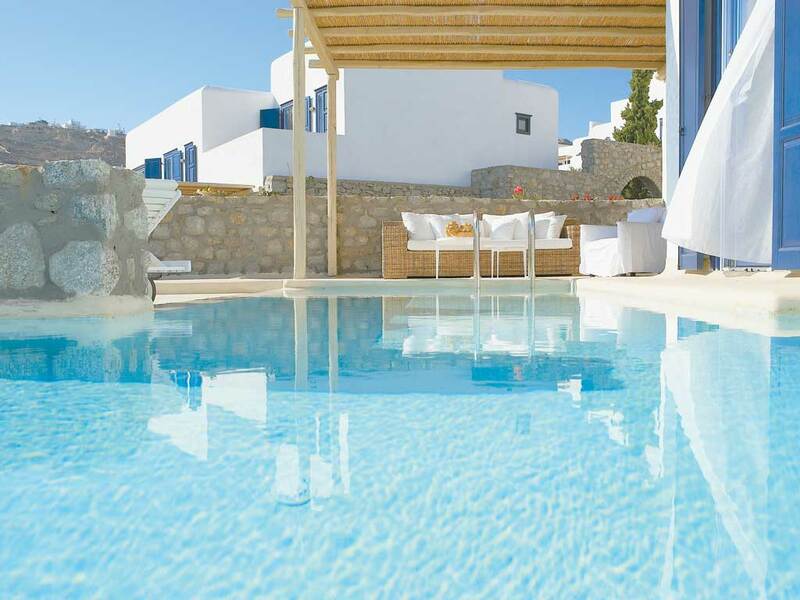 Mykonos Blu hotel offers 111 blue & white-coloured island bungalows, suites and villas, some with private pool or openair Jacuzzi, private garden, sunbathing terrace and private gym. 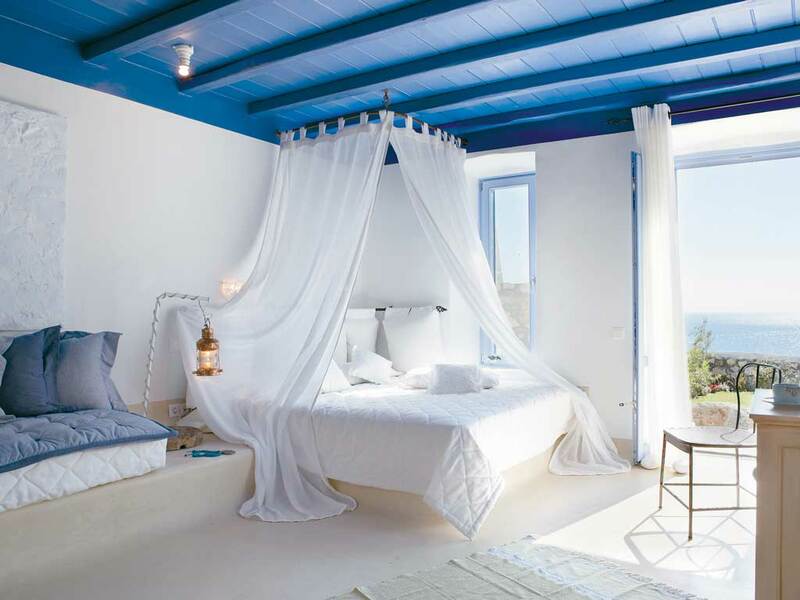 Island bungalows, suites and villas reflect the cubist lines of the Cyclades. Family Specials - One or two Kid's Stay free up to 12-years old (depending on room category) (combinable with any other offer or promotion). The sacred island of Delos, the birthplace of Apollo and Artemis, one of the largest open-air museums. 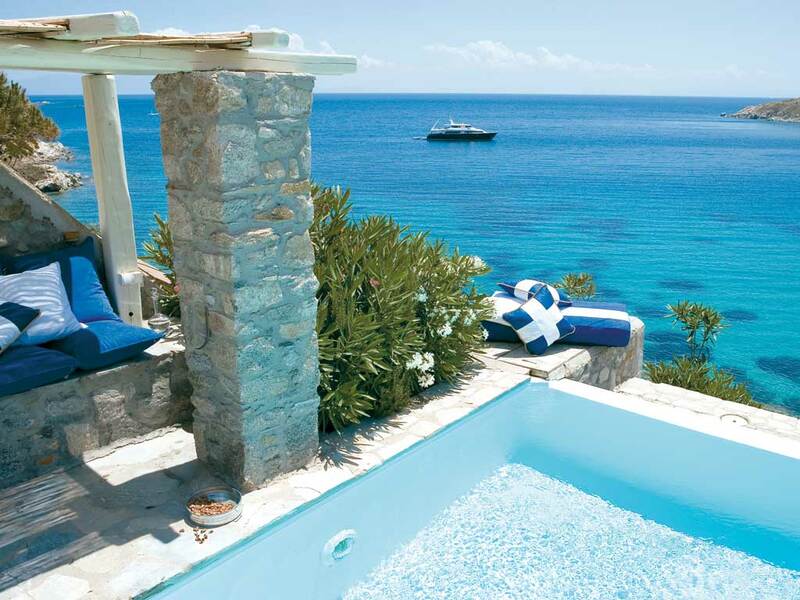 - 30 minutes by boat from Mykonos Blu. 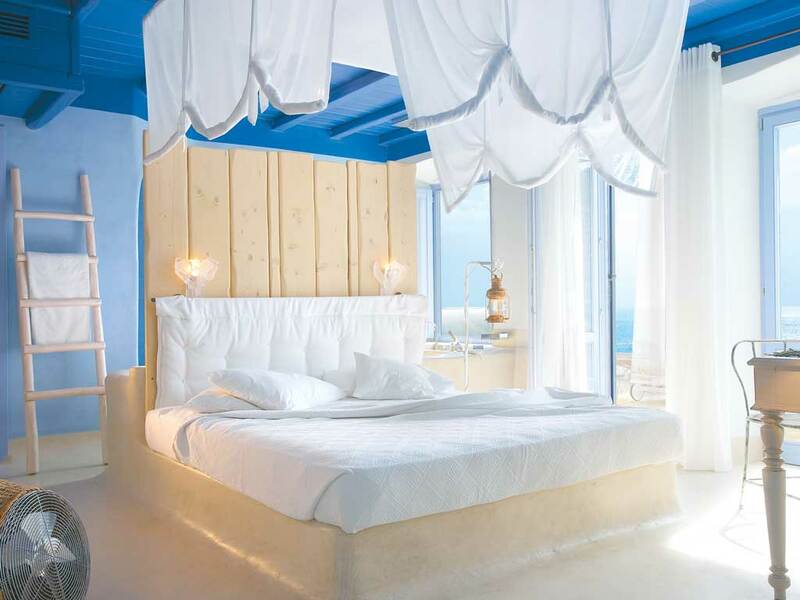 The Elixir Spa is as unique as the resort – and as breathtaking as Mykonos. 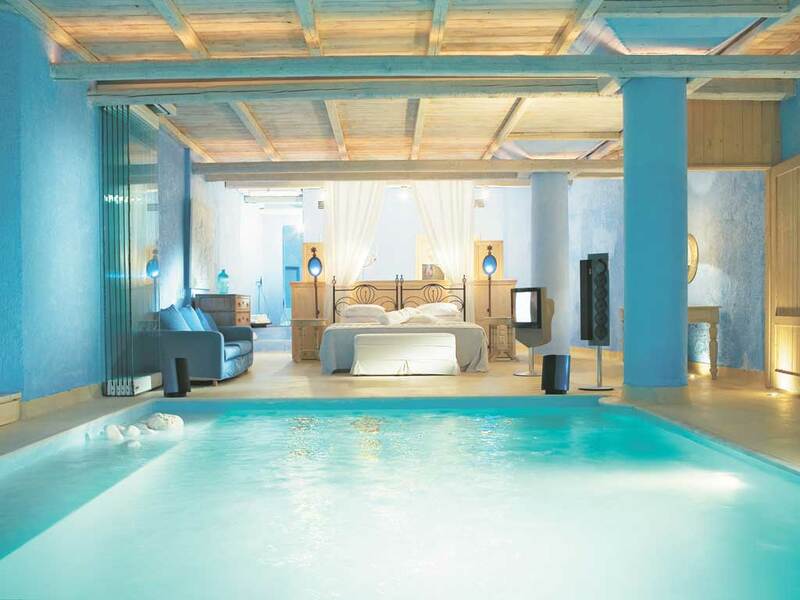 Marble columns with blue veins, walls covered in azure wash, recreate the dazzling splendour of Psarou’s underwater grottoes. Pamper yourself with a sauna before enjoying the treatment of your choice, a wonderful antidote to a night of partying. Immerse yourself in the sensory delights of the unique harmonizing treatment by Payot, the world‐famous cosmetics house. Elixir Fitness Gallery, a true sanctuary for the senses also features a beauty salon with a range of spa treatments, and of course the highest level of personalized service.